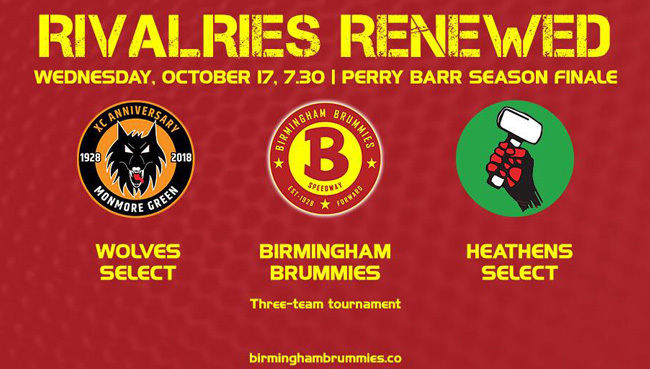 A Heathens Select side will compete in Birmingham’s season finale at Perry Barr on Wednesday (7.30). It’s a special three-team, four-man tournament which sees the Brummies take on Heathens and Wolves Select sides. And there’s plenty of interest for Cradley supporters as well with popular ex-Heathens scattered among the field. The Heathens Select are led by 2018 National Trophy sensation Drew Kemp, while well-liked guest Ben Morley steps in at short notice for Kyle Bickley who is now unavailable. 2017 Team Member Joe Lawlor returns to the famous green, red and white while newly crowned Northern Junior League Riders’ Champion Josh Embleton completes the quartet. 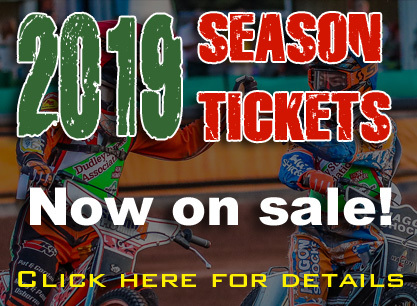 Fans’ favourite Kemp said: “It will be good to represent the Heathens one more time as I’ve really enjoyed the extra meetings with them this season. Former title winners Max Clegg, Tom Perry and Dan Greenwood are also included in the fixture. Admission is £13 adults, concessions and students £12, juniors (12-16) £3, with Children 11 and Under being admitted FREE of charge. BIRMINGHAM: James Shanes, Leon Flint, Anders Rowe, Dan Gilkes. 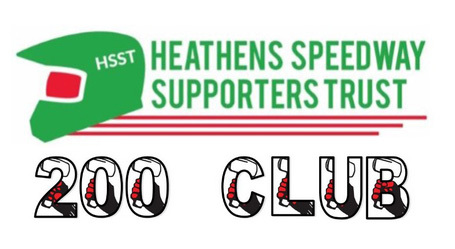 HEATHENS SELECT: Drew Kemp, Ben Morley, Joe Lawlor, Josh Embleton. WOLVES SELECT: Max Clegg, Tom Perry, Dan Greenwood, Sheldon Davies.